Limited edition of 25. 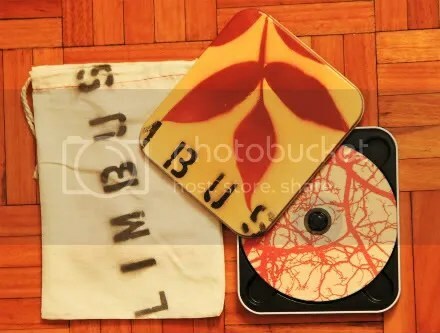 13 track CD in hand-stencilled cloth bags and tins. Comes with full colour “posterette” insert . 59 mins. $9 CAD worldwide. Inspired by the lifecycle of a tree—from seed to recycled paper—the Limbus suite sprawls skyward while rooting itself deep in the rocky murk. Drawing parallels between the root systems of plants and our own limbic system, harsh, bowed guitar drives over delicate, leafy arpeggios backed by percussion textures ranging from sparse to pummelling. 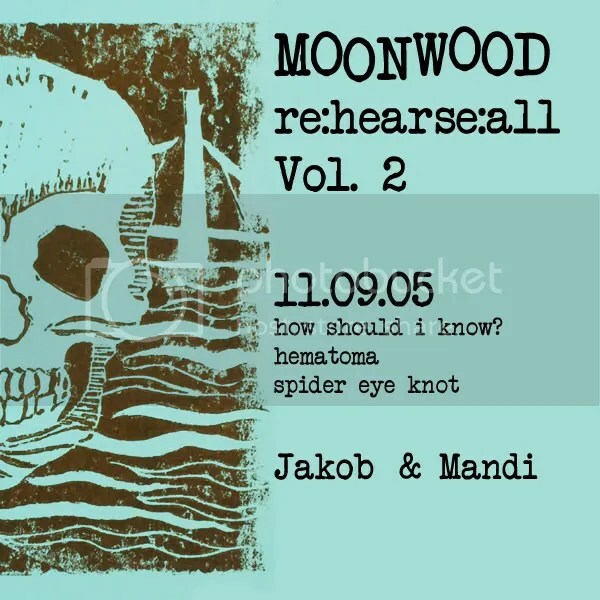 Free to download, the first two volumes in a series of live rehearsal recordings by Moonwood. 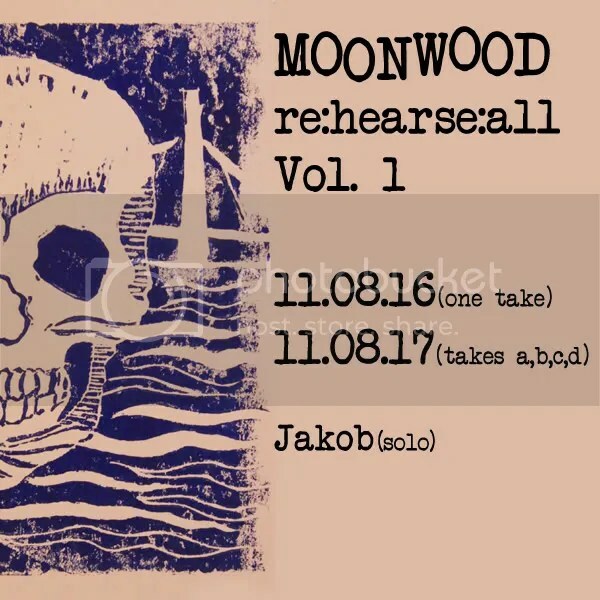 Vol.1 features 5 solo improvisations by Jakob (1 hour). Vol. 2 features 3 improvisations by Jakob and Mandi (34 mins). 192kbs MP3s. Vol. 2 also available in higher fidelity formats at our Bandcamp site as a PWYC download (min $2). 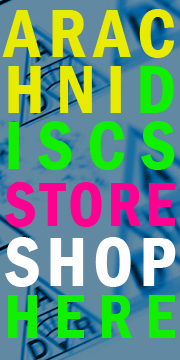 You are currently browsing the ARACHNIDISCS RECORDINGS blog archives for September, 2011.